Lodgit Desk gives you a list of all open invoices to help you quickly find all the invoices for which you haven't received a payment yet. This way you'll get a good overview of all outstanding money. 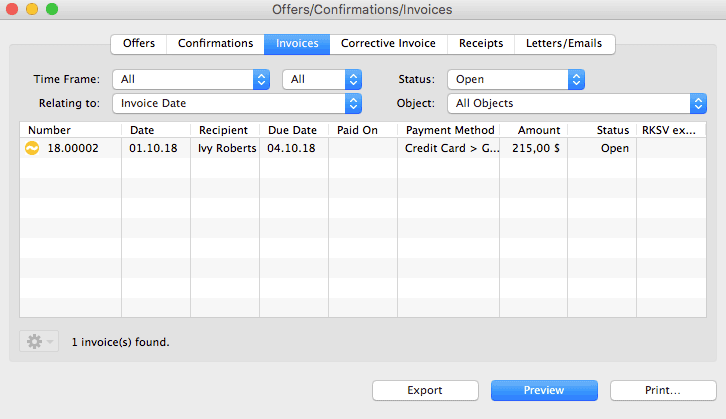 When cashed just change the payment status of the respective invoice which will then no longer be marked as open and be removed from the list automatically. 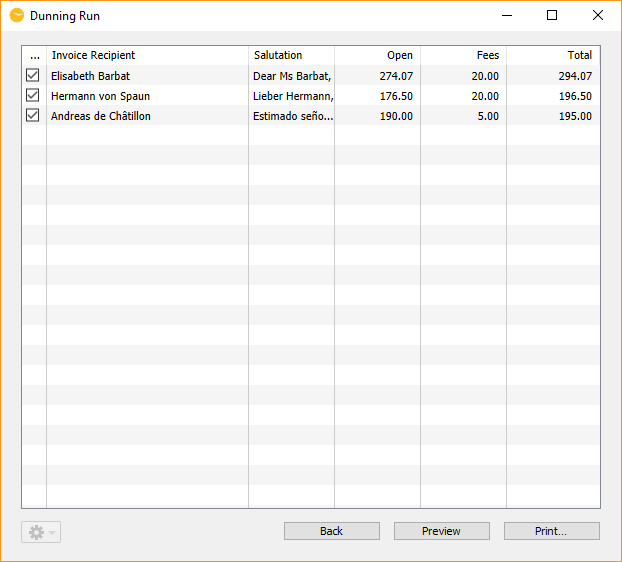 In order to help you create payment reminders for those open invoices we integrated a comfortable dunning system in Lodgit Desk. Simply select a key date in the dunning run which will give you a list of all invoices that have exceeded their time for payment at that date. Payment reminders of different levels can be printed out on a single dunning run. Texts for each level are taken from the Text Management where you can alter our preset texts and save them in different languages and templates. Lodgit Desk's dunning system has four levels; for each level, different dunning fees can be implemented. 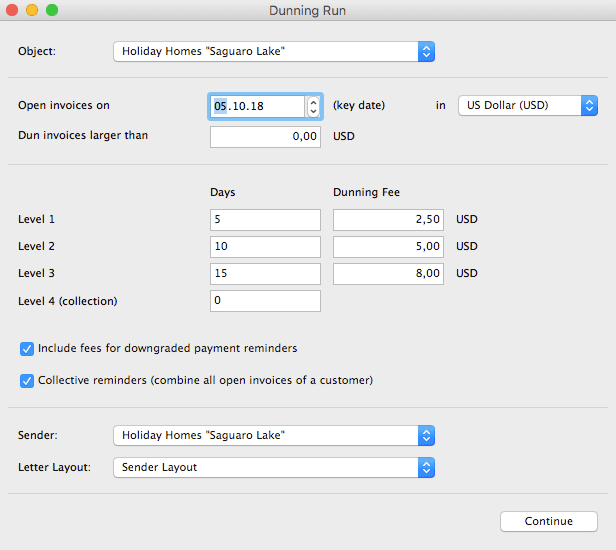 There's also the option to downgrade and reset an invoice's dunning level. 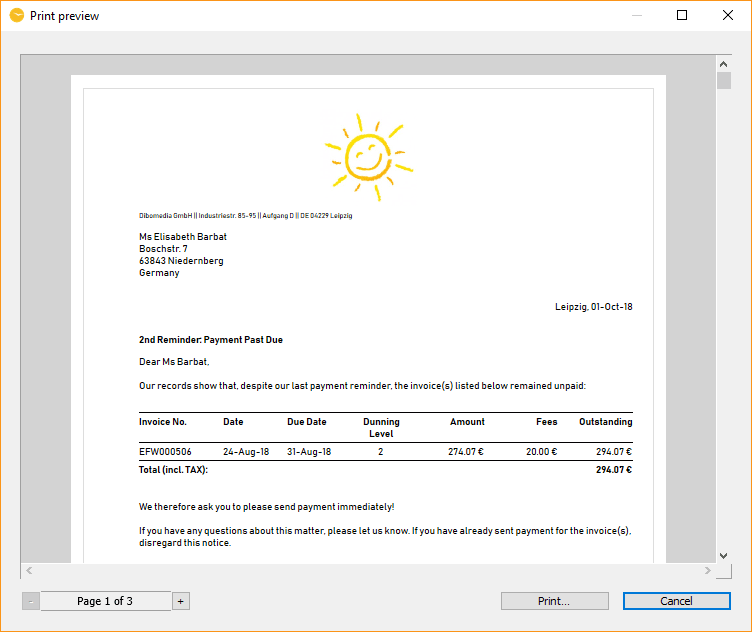 The sent out dunning notices are saved within the guest's information, just like all other correspondence created with Lodgit Desk. This allows you to quickly assess which of your (frequently) returning guests pays their invoices on time.